Tourism job losses are high, but officials are ‘optimistic’ | Marbella Marbella – Adelante! The toll that the tourism downturn has taken on Costa del Sol is becoming clearer, with new tourism data showing that hotels throughout the region have lost 16% or 2,205 of their jobs in the past year. Predictions for the Easter and spring tourist season are more upbeat, with forecasts of 70% hotel occupancy. But those forecasts offer little comfort for hotel workers, with many taking to the streets last Friday to demonstrate over the loss of jobs in the sector. Tourism unionists say there is no justification for the reduction in jobs. Industry officials and observers, however, attribute the loss of jobs to many factors, including bad weather, but also local economic conditions as well as the global downturn in tourism. Andalucia’s counsellor for tourism, commerce and sport, Luciano Alonso, last week expressed ‘moderate optimism’ for the upcoming tourist year. He said that while January and February 2009 had been ‘one of the worst periods in the modern history of international tourism,’ the first quarter of 2010 has shown ‘an extraordinary recovery’. 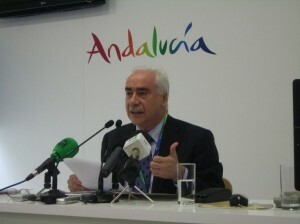 Alonso emphasised that Andalucia’s tourist industry is highly exposed to the international industry, and that as the rest of the world fares, so does Andalucia. The local market has borne its own share of blows, however. High-end hotels have suffered the most over the past year, with the closure of Los Monteros and Las Dunas and with many others under ownership changes or in bankruptcy, such as the Guadalpin Hotels in Marbella, the Byblos, Incosol and Torrequebrada. And then there is the weather, with much of the region’s shoreline damaged by heavy winter storms. The Junta de Andalucía insists that the beaches are ready for the return of tourists. Work to clean 51 beaches over 75 kms of coastline in the Málaga region is now complete. Some 45,000 cubic metres of flotsam and jetsam have been removed, much of it wood carried downstream from the local rivers.